Thank you for your interest in Akitsu Shikoku Ken. You can reach us by sending an email to erik@akitsushikokuken.com, or follow us on Facebook and Instagram for the latest news and photos. 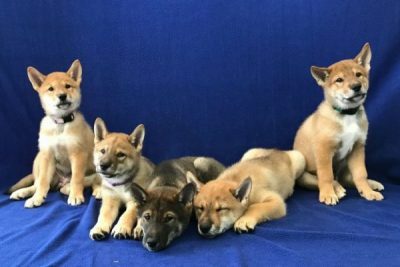 Please complete the form below if you would like to be considered for a Shikoku puppy. There are no right or wrong answers; we just want to get to know you and what you are looking for. We will add you to our Puppy Mailing List and will be in touch after our next successful mating. Describe your interest in the Shikoku breed: how did you learn about the breed and what about it appeals to you? 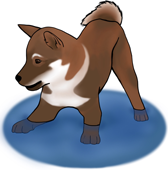 What are your preferences for a Shikoku puppy? When would you be ready for a puppy? Can you pick up a puppy at our kennel? Are you interested in adopting an adult that is retiring from our breeding program? Are you on a waiting list with any other breeders? What goals would you have for your Shikoku (family pet, dog shows, agility, hunting, breeding)? What specific qualities are you looking for in a dog? Have you owned dogs before? What breed(s) / mix(es)? How did it work out? What methods have you used to train your dogs in the past? Do you plan to do anything differently with your next puppy? Have you bred your dogs before? Are you interested in breeding or in keeping an intact dog? What pets do you currently own? Age? Male or female? Are they intact? Tell us about them. Tell us more about your family, lifestyle, and work schedule. Is the area that you live in rural, suburban, or urban? Do you live in a house, condo, or apartment? Do you own or rent? Will your dog live indoors or outdoors? How many children? How old are they? Who will be taking care of the puppy during housetraining? What about when you are at work? Please include any additional information that you would like us to consider. Please provide us with names and phone numbers of at least two non-family references. If you have previously owned a dog, one of the references should be a breeder, veterinarian, or trainer. By providing references, you are authorizing us to contact them with regard to your inquiry.